Me, I’m having pretty much a good-time life as a United Methodist pastor, currently on voluntary leave of absence from official church work, who had a long, first career in secular journalism (Print Div. ), mostly reporting at The Houston Chronicle, before the calling to ministry led me to seminary in 2000. My calling, however, was always to the specialized, pastoral- and spiritual-care ministries of chaplaincy in hospice and hospital caregiving. Aside from serving as a chaplain for two years in hospice care I was a chaplain at Methodist Hospital in Dallas, and for five years before coming to Belize at a suburban Dallas Baptist Baylor Hospital hospital. Five of the best years of this Methodist minister’s life. And by the way, chaplains–be they military, jail, hospital, hospice or extra-specialized chaplains like those in corporate ministries–are “liberal” in the sense of serving people of all faiths and no–faiths too. Their first duty is to be a loving, grace-filled, “listening presence” with no judgment involved. Just being present and listening without judgement is Christian grace to the nth degree. In July 2012 I came to Belize, downsized to what I could pack into two suitcases and a backpack, to live with the peace-loving, fun-loving third-world people here, and to write a book or two. But also to live in solidarity and ministry with the poor who live on what I describe as “the other side of Paradise” that is Belize, the “Crown Jewel” of the Caribbean. I’ve written a book to be published in 2017 titled The View from Down in Poordom: Reflections on Scriptures Addressing Poverty. It includes a chapter called “The Other Side of Paradise” about a Belizean family. I have opinions, solely mine and not necessarily of The United Methodist Church of which I’m a part as it is the biggest part of me. I love your image and the name of your blog! Of course, your musings are SO You! I’m just checking our facebook myself; maybe I’ll send you an icon! Paul, this is great stuff! Little Navasota produced some really great people and you are definitely one of them. I am reading all your blogs as fast as I can – keep them coming. thanks for your generosity paul. i’ll keep reading when i get back home and Con’s going to love this too. The alleged God who still doesn’t exist and never will gave you talent in spades! Saw Bill Fenton at PPUMC yesterday. Had not seen him in months. He brought me up to date on you and your wanderings. Was sorry to hear about you and Margo. Have read some of your writings. interesting to say the least. Life is good today, we only take it one day at time. God bless you and your ministry. I wish you had been there to guide me through my mother’s and my Alzheimer’s ordeal. Blessings from the Steely Dan Underground Night Owls! feeling the love from you in Dan Land and thanks so much, guys and gals. New Year’s in New York sounds kinda tempting. Give my regards to Lester the Nightfly and to Donald Fagen if you happen upon him. I have worked behind a desk for 15 years and going into nursing I felt was a calling as well. I think its wonderful that you minister to people in the ER and ICU. That song ” I can only imagine”. still comes to mind. I feel its my calling to work with hospice to help with the passing over into the kingdom. I was with my mother reading Romans holding her hand as she took her last breath. Humbling yourself will change you and you begin to realize and appreciatte everything your mother taught you about foundation and the bible: faith, hope and love and the greatest of all of these is love. Happy Mothers Day to all the mothers and to my mother whos the BEST OF THE BEST!!! Wow, thanks, Paula, and to all for the comments here. “3rd World poor folk”? That’s an awful way to describe the people of Belize, it’s condescending and offensive. I expect better language from a former journalist, and better feelings from a religious person. I actually agree with you and appreciate you calling me out on it and I am editing it out, John. I try not to blog or write anything “on the fly” and in this case I did–just banged that out without thinking and trying to be colorful or clever or whatever I was doing in the moment. If I had read it on someone else’s blog I would have recognized it as condescending myself. Thanks for the feedback. No problem, I have the same trouble myself, fortunately I have many friends who read my stuff and tell me if I’ve crossed any lines. Good luck with your work, enjoy Belize! 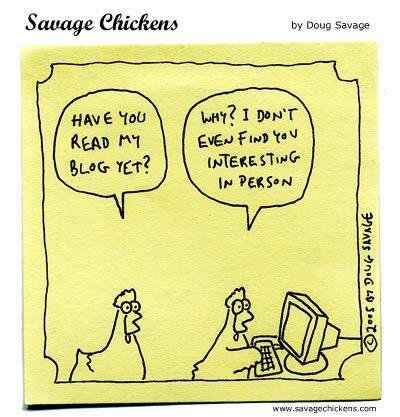 PS I like the Savage Chickens cartoon! Wow! Delighted to find your blog! Thank you … your insight and outlook are refreshing, indeed! God bless you …. thanks so much!